On the sand of Millionaire's Row - Miami's most beautiful & exclusive strip of beachfront sits 57 Ocean. Residences feature floor-to-ceiling windows. 12 Ft deep terraces, open floor plans, private elevators and foyer. Top of the line poliform kitchen and bathrooms.. SubZero and Wolf appliances. Our 12 feet deep terraces are a defining feature of 57 OCEAN as well as the wood line ceilings. 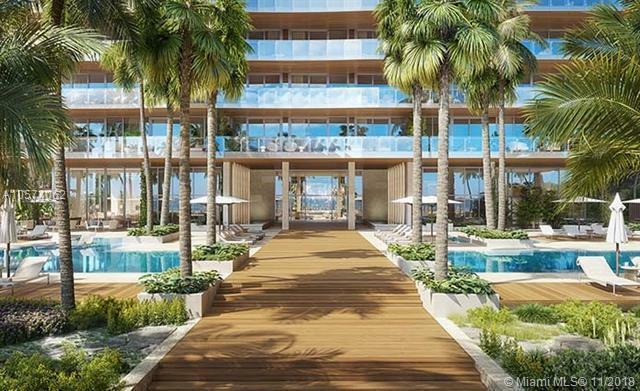 57 Ocean will provide the residents a connection with nature. From the indoor and outdoor gym, My Equilibria and Technogym training equipment, Meditation Gardens and Zen library, Chef kitchen, outdoor grill area and Ocean front bar; Pre-sales Starts now! Construction start MARCH 2019. 5% Commission! Onsite sales center opening soon!